Lemon Shake-Ups. You’ve had them at the county fair, the rodeo, the fall festival, the circus, and the carnival, but have you had them at home? 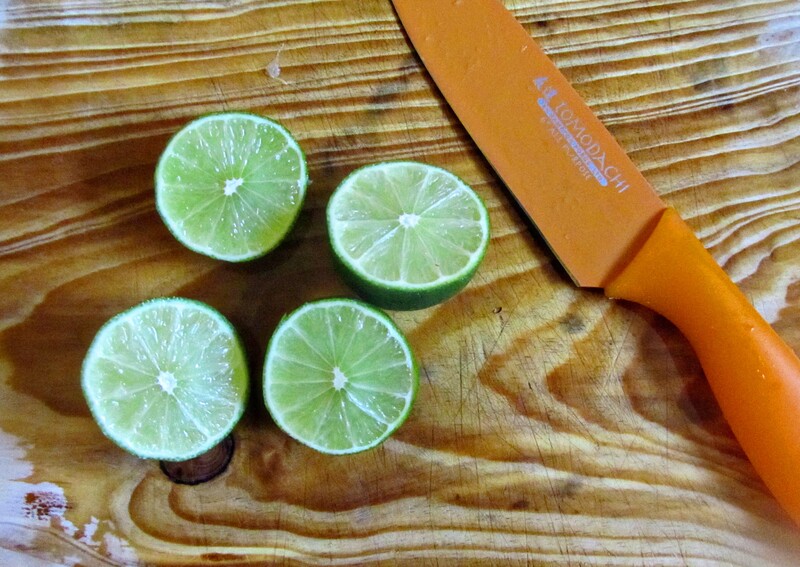 They are easy and deliciously refreshing during the summer. 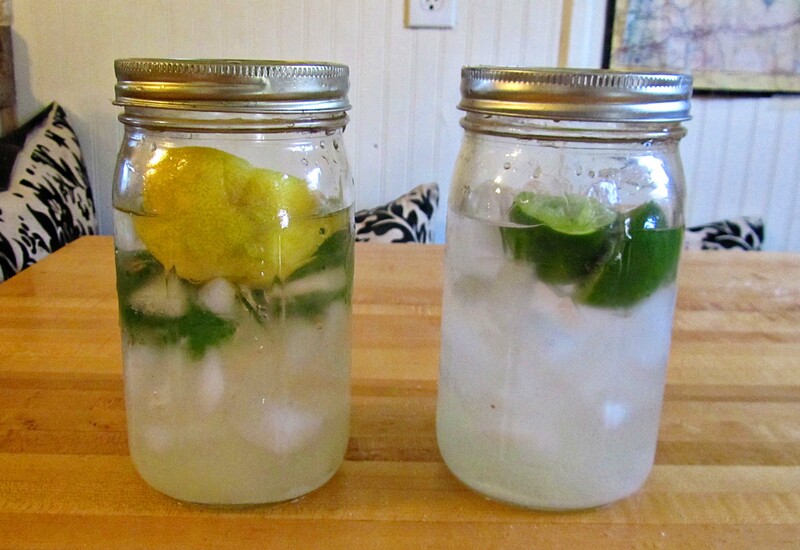 Start with two cleaned quart-sized Mason jars. Fill them with one whole tray of ice cubes. 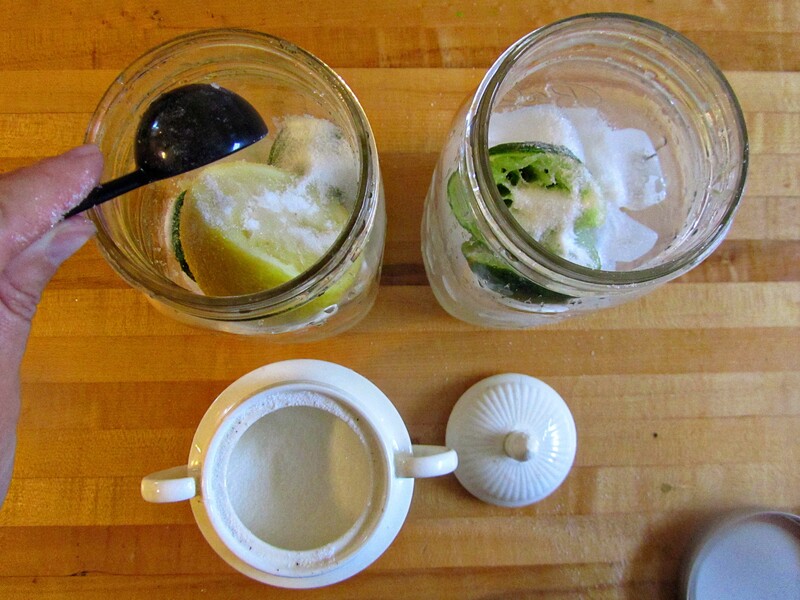 Each jar needs four lemons (or a mixture of lemons and limes), so slice two in half. 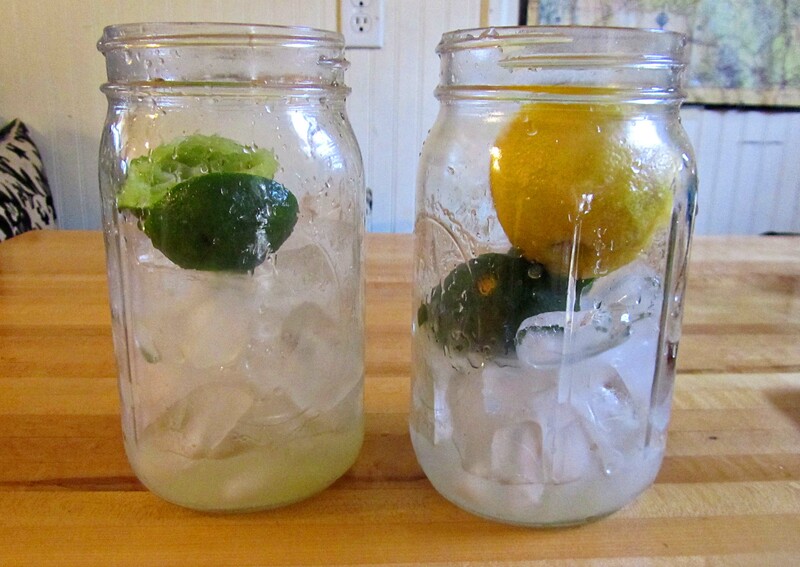 Squeeze the lemons into the Mason Jars, then drop them right in. Spoon in some wonderfully-refined-tastes-divine white sugar. Two scoops worked for me. 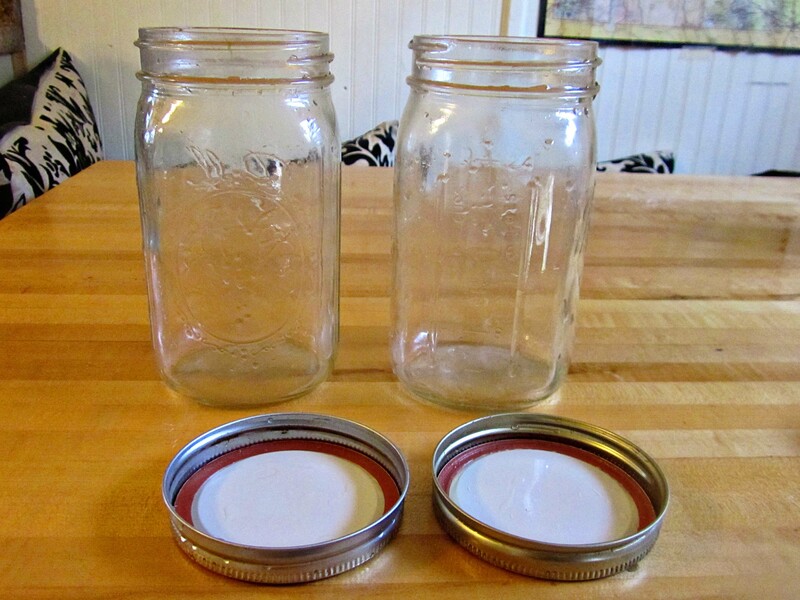 Fill the Mason Jars 3/4 of the way full, then screw on the lid. 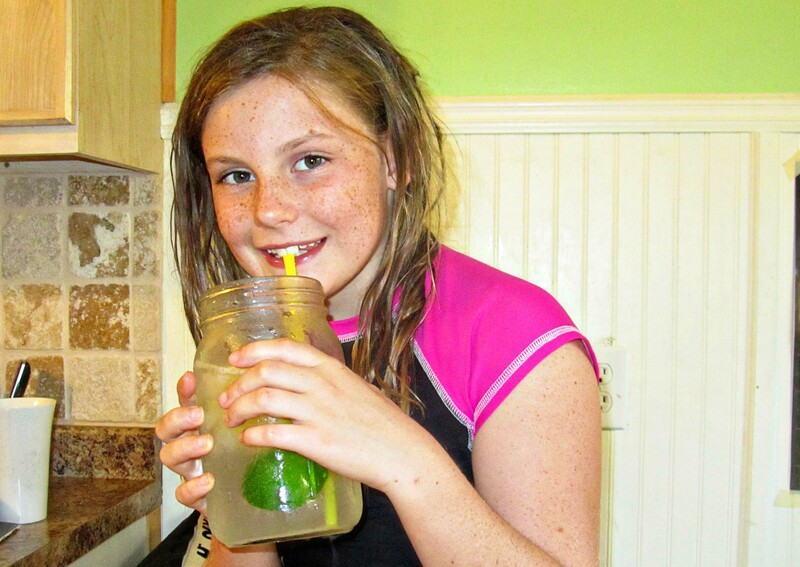 Now give the Mason jar a shake, shake, shake-shake. I mean shake it a-baby. Feel free to twist and shout. I tried to punch a straw-hole in the lid with a paper punch, but I just wasn’t strong enough. 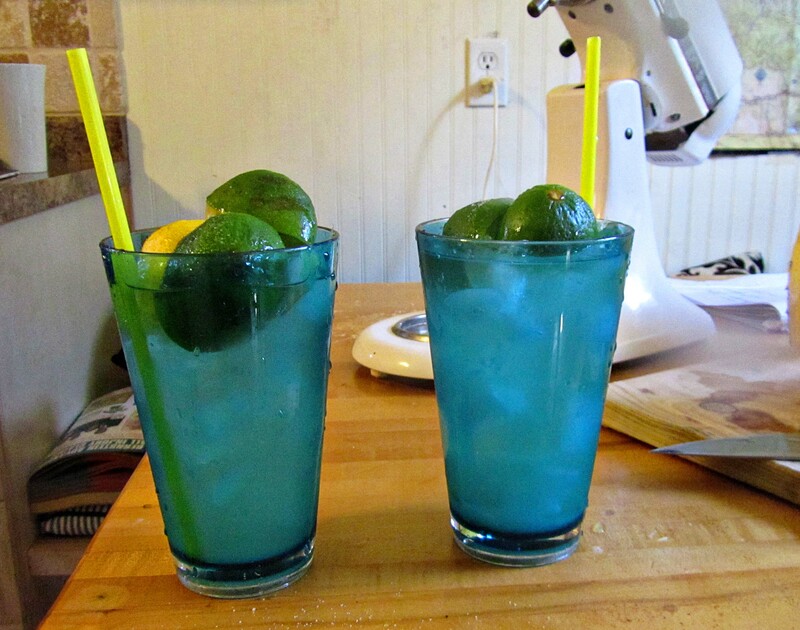 Serve with a straw. These are a bit addicting. We had them daily during the hot month of August. They also travel well to baseball games and picnics. Drink responsibly. 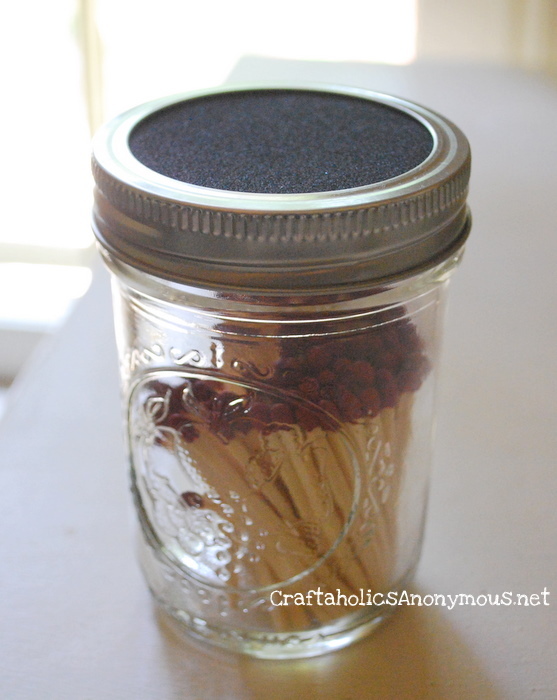 Now wasn’t that Mason jar handy? 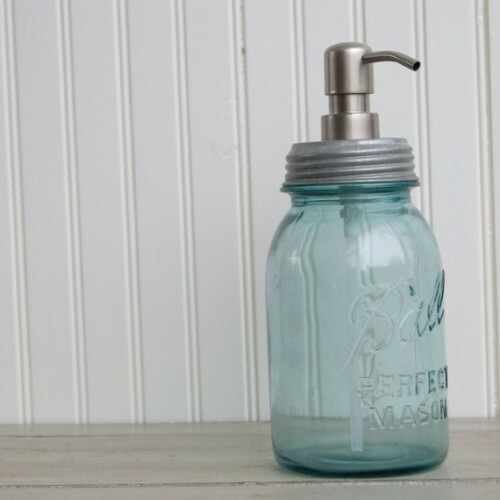 Here’s more uses for Mason jars found around the web. 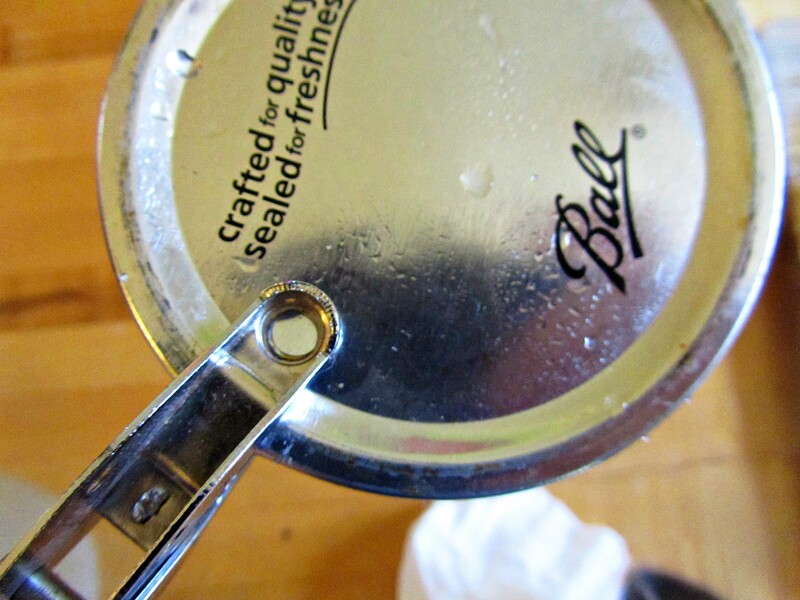 Parmesan Cheese Mason Jar lid–perfect for sprinkles. Coffee Syrup in a dispenser. Paula Deen recipe. 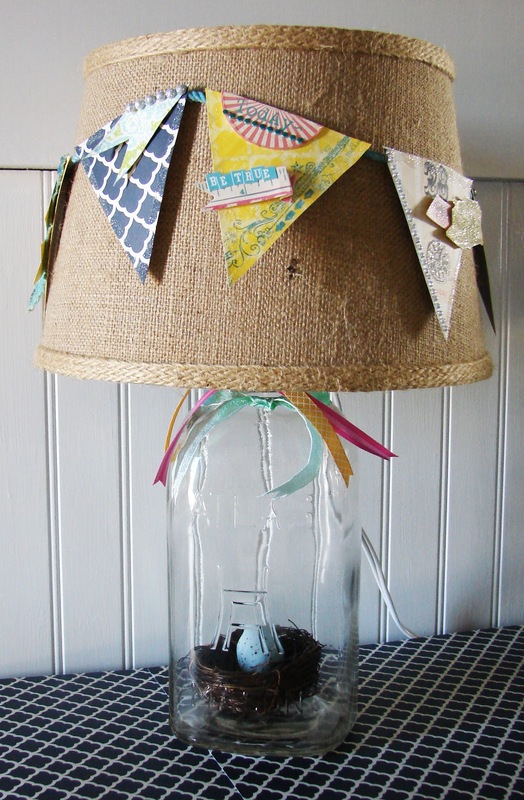 Spring lamp with shade. Redberry Barn craft. 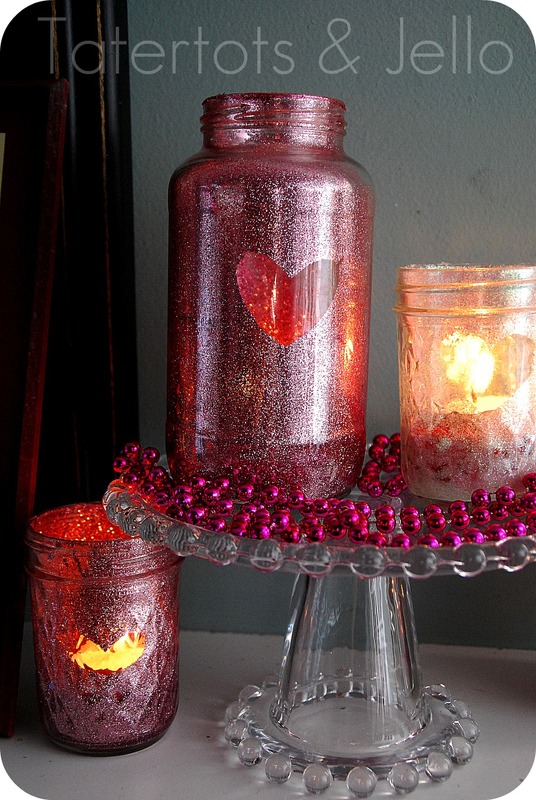 Valentine’s Day Votive. Tatertots and Jello. Candle. 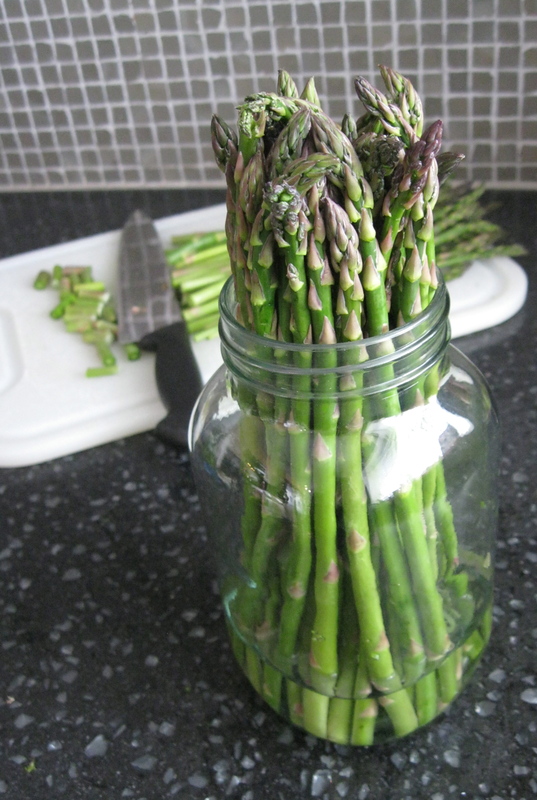 Put It in a Jar. Spill Proof Cup. The Chick n’ Coop. Summer Table Setting. Hooked on Houses. 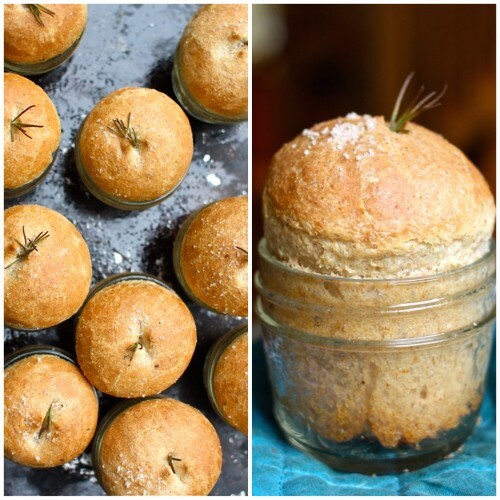 Dinner Rolls in a Jar. Simple Bites. 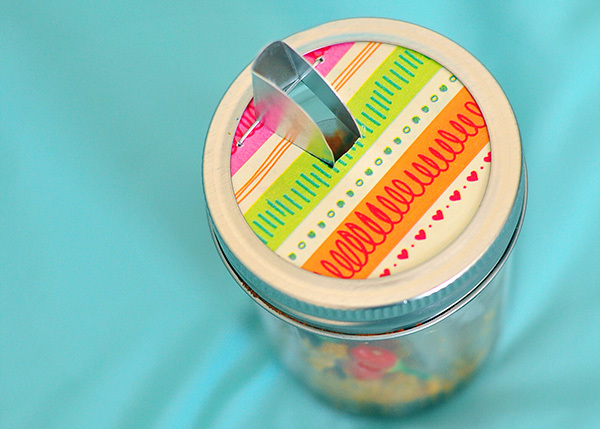 There you have 21 more reasons to love Mason Jars. P.S. 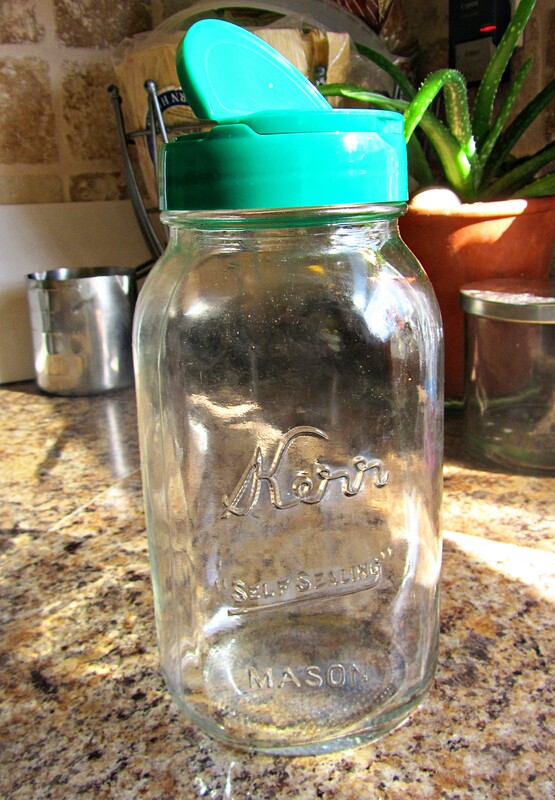 If you have a great Mason Jar Idea, please tell us. 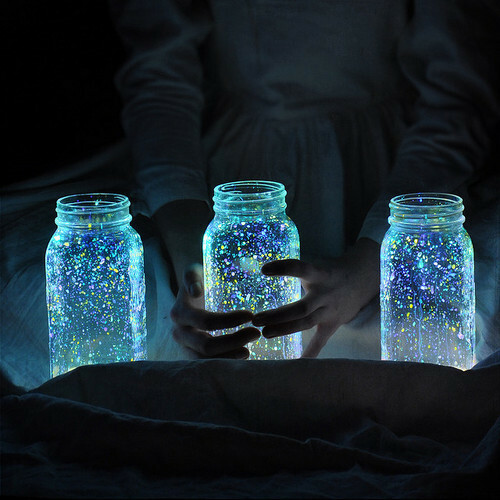 Or add a link to someone elses amazing Mason Jar idea. 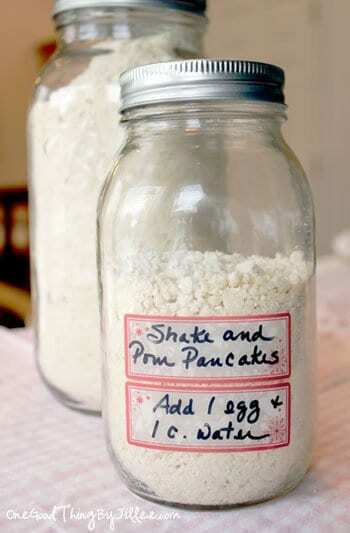 This entry was posted in Recipes and tagged i love mason jars, mason jar as shaker. Bookmark the permalink. 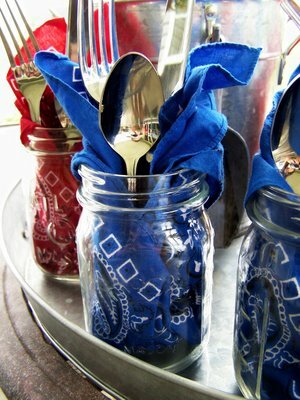 Looks like that almost covers the many uses for Mason Jars!!! Interesting!! Thanks. I was looking for that link! You had sent it earlier, and I marked it, but lost it. Thanks.